Minnesota Department of Transportation (MNDot) Aviation Unmanned Aircraft Systems (UAS) also known as drones resources page. The following are some gloves that I keep in my flight bag and wear during cold weather operations. The first pair shown are lighter weight, thinner, less warm however can also be worn inside heavier bulky gloves. I find these lighter weight gloves good for my right hand that I use for adjusting camera or other settings. Click here to buy Lcgs Touch Screen Gloves, Winter Warm Gloves Men Women – Windproof Waterproof by Lcgs via Amazon.com. The following gloves are thicker, warmer than the above and while they work with touchpad screens including iPhones, iPads, Android phones and tablets among others, they are better than regular gloves, not as thin as those mentioned above. Thus I sometimes will wear one of these on my left hand where I do not have to use the touchscreen as much, and one of the above on my right hand for more frequent touchpad interaction. Note that even with gloves such as these, in cold weather in addition to paying attention to your drone while in flight, also keep in mind frostbite or other injuries that can occur from exposure to the elements. Also note that your drone particular the battery, sensors, and props are also susceptible to the cold, keep your flights short and close in range. Watch for the icing on your props that can result in loss of performance or worse. Click here to buy Winter Gloves for Men Touch screen, DONWELL Thermal Gloves Super Warm Outdoor Sport Running Skiing Cycling Driving for Men Women Waterproof Windproof (X-Large) via Amazon.com. For beginners, as well as for experienced, these small drones are great for both learning, practice as well as just having some fun. 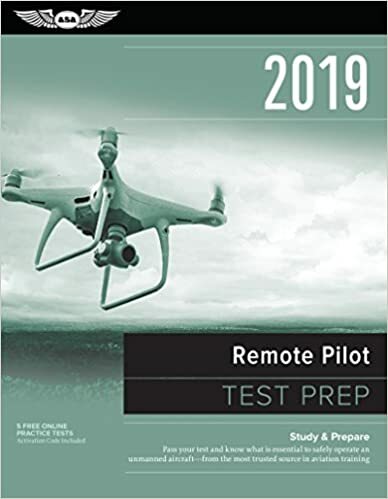 Granted they do not have all the automation, advanced features, long distance or battery life of the larger, more expensive drones, however, you get to fly, learn, practice at a fraction of the cost. In addition to my larger DJI Phantoms, I have some smaller drones such as these for fun and practice. Warning, these smaller lighter drones are very sensitive to strong breeze and winds so be careful yours does not fly away. In addition to Amazon links below, Drone Nerds is another great resource where I have bought parts and they have lots of other interesting items as well. Additional sites and smartphone apps include AirMap, Avia Weather, B4UFLY, FlightRadar24, UAV Forecast, and VFRMAP, among others. Need some video editing and post-production software, I use Camtasia 9 that you can learn more about and get here via Amazon.com. Additional add on navigation and anti-colision lights for night time operations (e.g. FAA part 107.29). The following are some lights, strobes, mount holders and other related items. Visit the Lume Cube site here to learn more about these high intensity lights for DJI Phantom as well as other devices (and uses). Order yours via the following links. We may receive an advertising commision from Amazon should you purchase anything via the above links and we thank you in advance.